New Russian tank T-14 “Armata” : A Documentary Film from Russian TV. 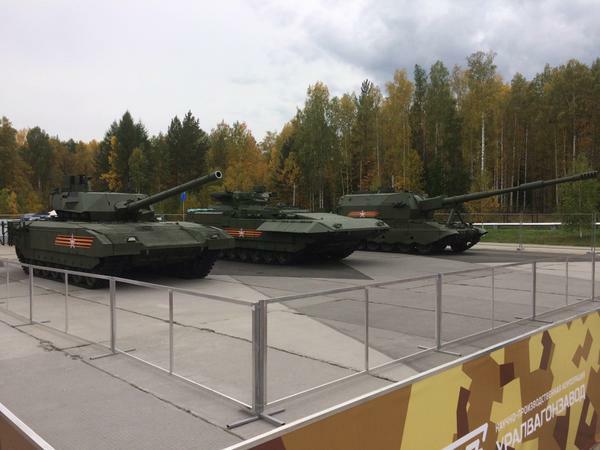 The most secret and the latest Russian military tank T-14 “Armata” was first shown to journalists at the site. The leading TV channel “Star” Alexei Egorov got the unique opportunity to see the behavior of the new off-road, sit inside the “Almaty was” to learn about the secrets of the armor of the tank, its engine, and the most important thing – to see firsthand how the T-14 fires!